It is our pride to offer great services to people who trust us. 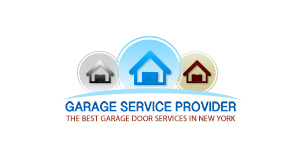 Actually, “Garage Door Repair Mamaroneck” is honored to serve not only the interests of garage door owners but also of gate owners. We are a garage door contractor offering gate services as well. Despite their differences, both systems have similar logic. They are both installed to provide security and their safe operation is ensured with good services. It is our pleasure to have the perfect technical teams for all these services. We make sure your systems are in outstanding condition and your demands are met with consistency. We have excellent competence and can assure you that our work will make your life easy. Many things are required for proper gate operation. Depending on the requirements of the system, services vary as well. Though, in all cases good installation and gate repair are the number one determinants for your safety and comfort and that's our exact goal. So, check out a few of the things we can offer you. Posts in each side make sure the swing gate panels will open and close properly. If they sag due to a strong wind or for any other reason, they must be repaired. This is a hard task and it is done with perfection and speed by our expert repairmen. There's nothing more important than fixing opener sensors problems. When customers call us for issues concerning their entrapment protection device, our response is quicker than any other time. We repair and adjust sensors and if they are badly damaged we immediately replace them. You can be sure that our services always follow the official guidelines about people's safety. We repair and install intercom phone entry systems for gated buildings of any size. We program them, check out the keypad panel and are here for maintenance services. Customers must be certain for the quality of our work since we are perfectly knowledgeable of all the latest intercom systems. We offer full swing and sliding gate opener services. We're ready to respond fast to emergency calls when something is wrong with the motor or sensors. You can trust us when the electric gate is not closing due to opener issues. We're excellent troubleshooting specialists but also the perfect contractors for operator installation. When gates are not balanced, they must be adjusted. We are ideal technicians because we are knowledgeable of the parts of all gate types. That makes us great maintenance specialists as well. The conscientiousness of our technicians to inspect parts well and adjust them properly ensures perfect operation. You can trust our teams if you just need track adjustment or swing gate hinges tightening. We are excellent in whatever service we offer because we can and care. Having the competence, skills and experience ensures that repairs are done with efficiency. We are here to replace every broken component and offer our assistance whatever the nature of the problem. One other thing which makes our company great is the speed of our teams. We understand the need to provide fast emergency services and we offer them 24/7. We try to make it as soon as possible to your house for any service and we're always punctual to our appointments. Don't hesitate to trust us. We're the best! Call our number for services today!